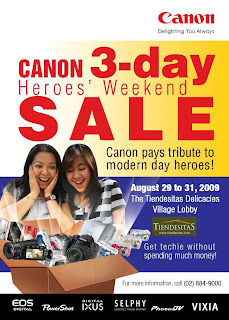 Canon 3-Day Sale This Heroes' Weekend! Enjoy special promos and big discounts on digital cameras, video camcorders and accessories! Free! PowerShot A470 Digital Camera! Pick a prize with every purchase! Illusion lens, SD cards, scrapbooking kits, tripods and more! If you liked this post and would be interested to get updated with Budget Shopping Galore, bookmark this site or subscribe to my feeds. Sale Alert: Unarosa Clearance Sale from August 1 to 31, 2009! Visit Unarosa at www.una-rosa.com or contact them via email at info@una-rosa.com. I felt stressed last week due to a heavy workload and so when Edwin and I strolled around Mall of Asia Friday night, I exercised my right as a consumer and splurged on some Tomato accessories. I felt relieved and happy after the purchase. It was therapeutic, so to speak. This three-layered, silver and faux pearl combination necklace exudes beauty and elegance to me. I bought it for P250. I fell in love with this one at first sight because of its simplicity and feminine appeal. I had long been looking for a perfect accessory for my black tops and dresses. This necklace is just perfect. 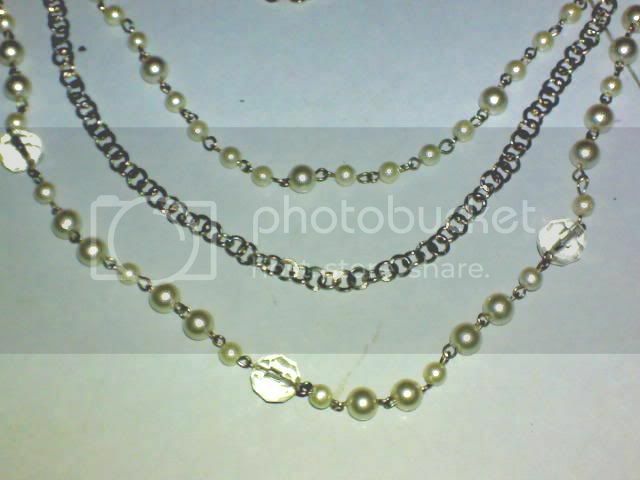 Oh and, the faux pearls are actually white and not dirty white as what the photo's trying to show. 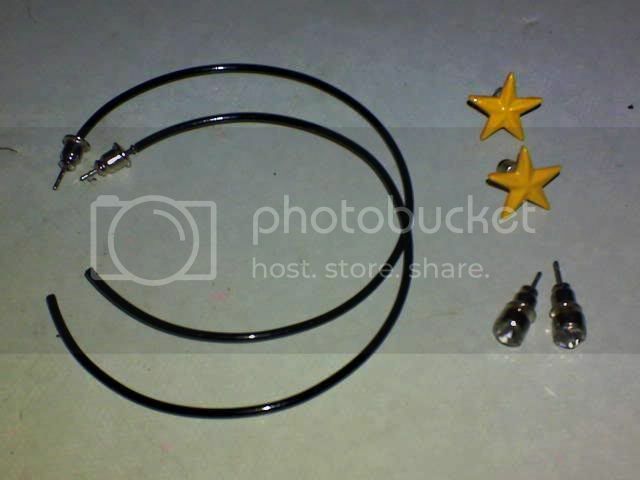 These three different pairs of earrings came as a set at the price of P150 or P50 for each pair. It can't be cheaper than that! I like it that the three pairs of earrings can be worn casually. I worn the pair of yellow, star-shaped earrings when I went to SM Megamall last Saturday. It complemented my violet top well. I loved it. 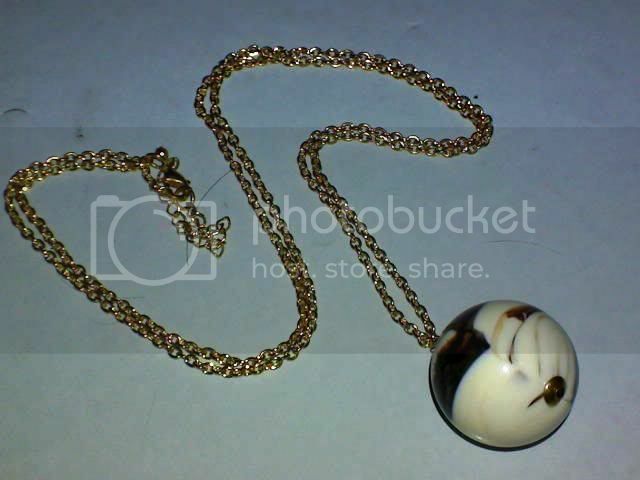 This gold-plated necklace with a round pendant looked cool and unique to me so I bought it. Price was P200. Isn't it a beauty? I imagine it'll look great when matched with a plain-colored top. I think it's a fashion statement in its own right. Almost all SM Malls have a Tomato shop. The ones I usually visit are Tomato-SM Manila and Tomato-Mall of Asia. The Tomato shop at Mall of Asia has the widest selection of accessories, I believe. You won't go wrong with Tomato accessories. They're really chic and budget-friendly. 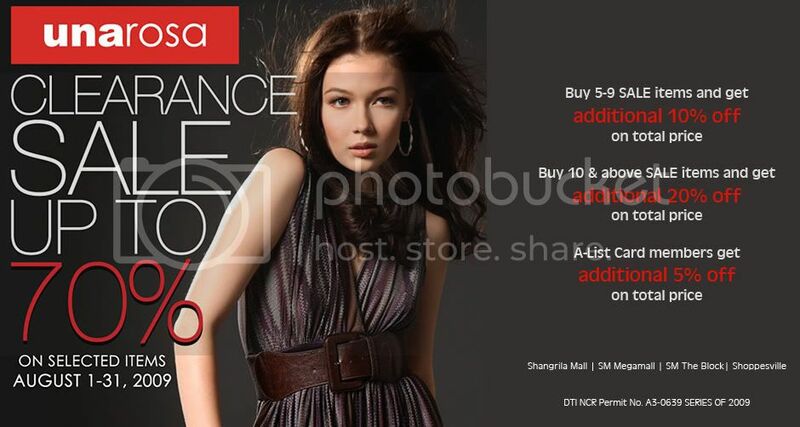 Sale Alert: SM City Manila 3-Day Sale on August 28, 29 & 30, 2009! If in case you don't know yet, SM City Manila (a.k.a. the mall nearest to my place!) is having a grand 3-Day Sale on August 28, 29 and 30, 2009. This is from 10:00 a.m. to 10:00 p.m. Get up to 50% off at all participating stores. I learned about the sale just this afternoon when I went to SM Manila to pay some bills. The SM City Manila 3-Day Sale is mallwide so expect the place to be jampacked with people on those dates. You better go and shop early to get the greatest deals. When we reach the big 3-0, fine lines start to form on our face. That's aging at its finest (pun intended). Anti-aging beauty products come and go, but nothing seems to deliver true results. 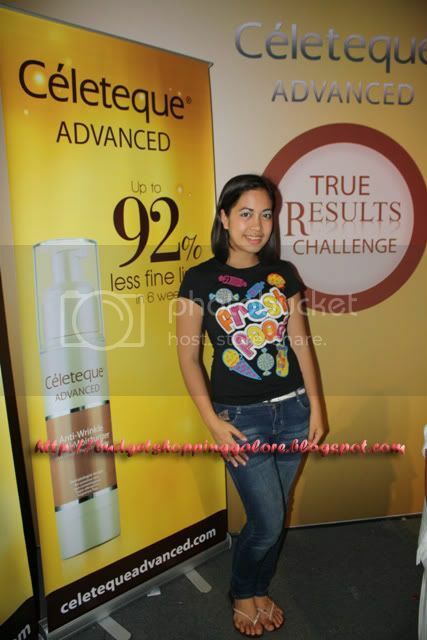 When the people behind Celeteque initiated the True Results Challenge recently, erasing fine lines on every Pinay's face was what's exactly on their mind. Is it really possible for a facial moisturizer to lessen fine lines on a woman's face and make her appear 10 years younger than her real age? 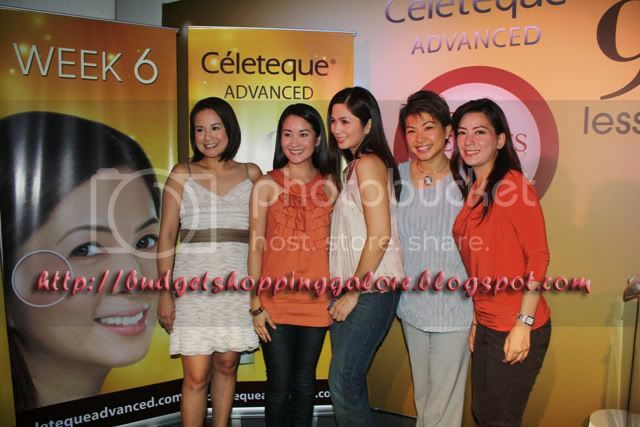 The launch of Celeteque's Anti-Aging Facial Moisturizer last Saturday afternoon at Mag:Net Cafe in Boni High Street, Taguig was an affirmation of this claim. Five adult women with different social profiles but having the same skin problem (read: fine lines) were chosen to try Celeteque's Anti-Aging Facial Moisturizer for six weeks. The results of this challenge (a.k.a as the True Results Challenge) was documented and shared to us by the five women themselves that afternoon. Observing the five women chosen to take Celeteque's True Results Challenge from my seat (they were seated two tables away! ), my jaw dropped in awe at how young they looked. Their testimonials sounded sincere, too. If Celeteque's Anti-Aging Facial Moisturizer was the one responsible for the youthful glow and radiance I've seen on their faces, then it must be really effective. To make things more exciting for everyone, Celeteque asked us to take the challenge ourselves. First, we were tested by a dermatologist to determine the number of fine lines on our left and right eyes. Second, we were each given a bottle of Celeteque's Anti-Aging Facial Moisturizer to be used in six weeks. We shall meet again after that to check whatever results will happen on our faces within the six-week period. Oh and, have you watched the TVC for this particular product? Many thanks to Celeteque and Team Yehey for inviting me to this event. I can't wait to see the results of my six-week use of Celeteque's Anti-Aging Facial Moisturizer. Looking good is every girl's daily obsession. We start by putting make-up on our face to enhance (not alter!) its beauty. I'm not a big fan of make-up and other beauty products just because I'm lazy. Actually, I only apply make-up on my face if I have special events or parties to attend. Other than that, I'm just a powder and lip shine girl. But it doesn't mean I'd let an opportunity to attend a make-up session pass. 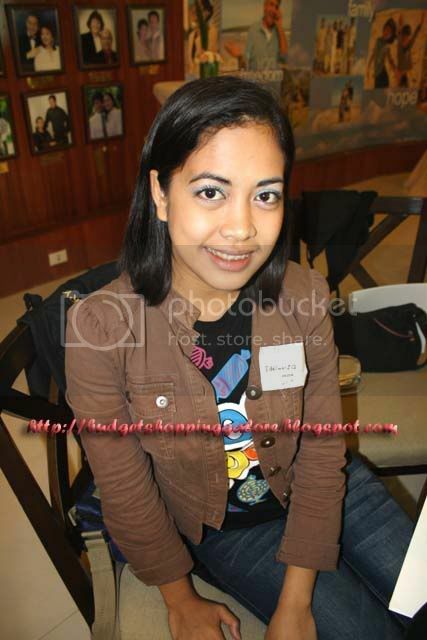 Just like last Saturday when I became one of the participants to make-up guru Victor Ortega's Make-Up 101 held at Amway Experience Center on Rada St., Makati. It was organized by Artistry and Geiser Maclang and was attended mostly by fashion and beauty bloggers. Victor Ortega, with his fab make-up arsenal and years of experience as a professional make-up artist, showed us how to look perfect day in and day out, one stroke at a time. Victor Ortega, a.k.a. 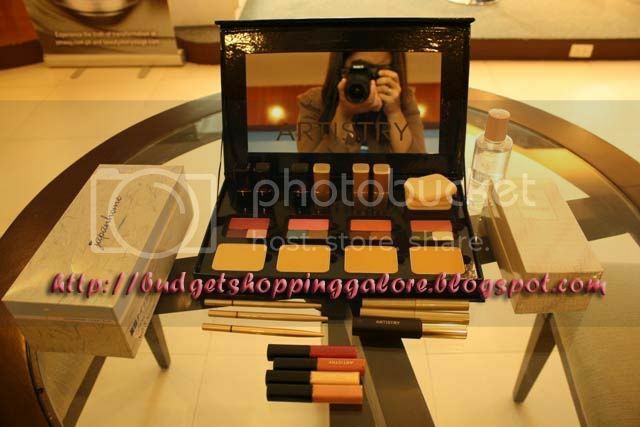 Artistry make-up master, was very nice and accommodating, not to mention funny. He taught us the basics in make-up application. He showed us the proper way to apply foundation and how it could be used to contour the face. Yes, you can make your face look slimmer with some dabs of foundation that's a shade darker than your base. He went on by sharing with us everything we needed to know to look perfect, from putting on concealer (to hide skin impurities!) and applying mascara to the eyelashes to putting on lipstick and finishing the look with a blush on. He used Artistry skincare and cosmetic products during the make-up session and proved to us that they were ideal to use on Asian skin. Now, that got me thinking. The entire make-up session lasted for more than two hours but it was worth it. I learned a lot from Victor Ortega. His make-up tips were straightforward and effective. I'll share some of them in my upcoming posts so watch out for that. Artistry, by the way, is exclusively distributed by Amway Philippines. Visit www.amway.com.ph or call 814-8181 for product information. 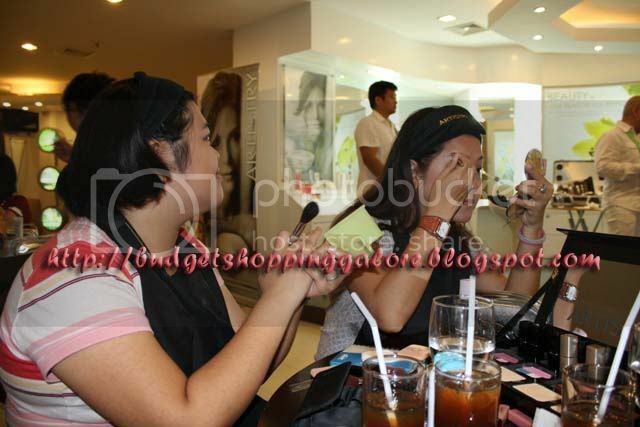 Many thanks to Artistry and GMCI for this awesome make-up session that left us more knowledgeable about make-ups. Keyshia Cole is currently sporting a new haircut. Eventually, the singer has joined the shaved head badwagon started by international pop sensation Rihanna. Is it in or out? I say it's in. Only daring women can carry that look and Keyshia Cole is one of them. 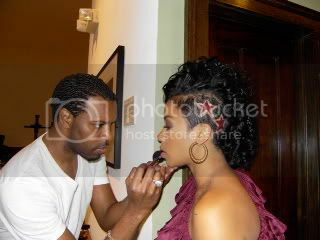 Another proof that Keyshia Cole new haircut is in is that it's drawing much attention from the media. If you're planning to get this kind of look, ask your hair stylist's advice first for the right style, texture and color. Advertise here at Budget Shopping Galore! Email dwindle18(at)gmail(dot)com for reservations and inquiries. Want to increase your PR and drive more traffic to your fashion/beauty/shopping blog? Let's have a link exchange. Contact me. Be Updated on Budget Shopping! Subscribe NOW!